I’ve gotta give credit to Miss Korea for making winning the big kahuna of the beauty pageant merely the beginning for much more storytelling to come. 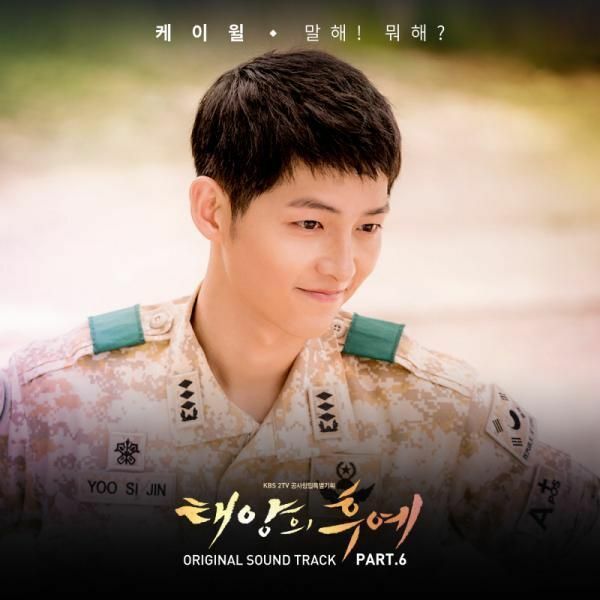 This was a drama premised on winning Miss Korea 1997 but there wasn’t a moment after Ji Young won that I felt like the intensity deflated and we were left filling time with tying up lose ends. That is the very nature of life, right? One accomplishment doesn’t mean it stops there, and it certainly doesn’t mean all problems magically go away. Ji Young wins Miss Korea fair and square, coming up against overwhelming odds but never giving up in spirit or slacking in hard work. Her speech before the announcement was heartfelt and summed up her journey perfectly for why she deserves to be the last girl standing. Jae Hee remains the embodiment of classy and I felt genuinely proud of her for revealing her paternity onstage and for accept her defeat so graciously. She’s a winner in my eyes, and if Ji Young’s crown does become in peril due to a question about her age, then at least Jae Hee is a worthy successor waiting in the wings. There remains so much conflict to resolve and this episode resolved none of that but instead felt like people took a much needed breather. Ji Young’s happiness at being crowned Miss Korea was rather short-lived once the truth came out about what happened to Vivi, but I was so happy when Hyung Joon arrived and they got to celebrate however briefly. 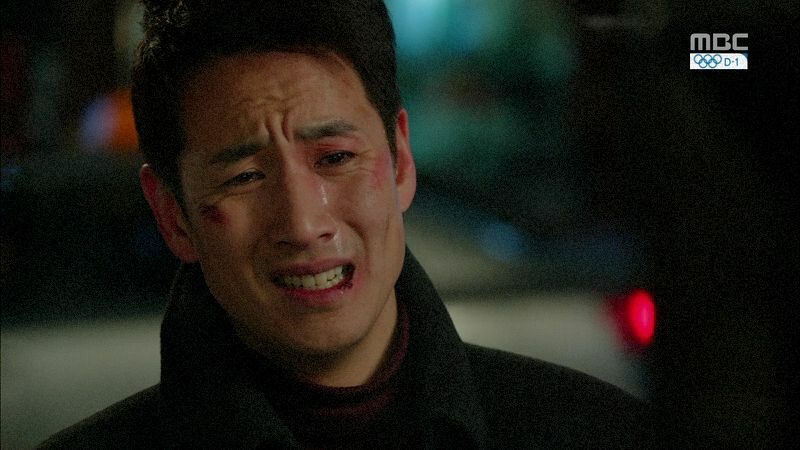 It’s such a bittersweet feeling watching Hyung Joon suffer stoically, yet that remains all he can do. There is no solution before him that wouldn’t strip him of his dignity and pride, so all he can do is become the sacrifice while trying to toss everyone else out of the sinking ship. 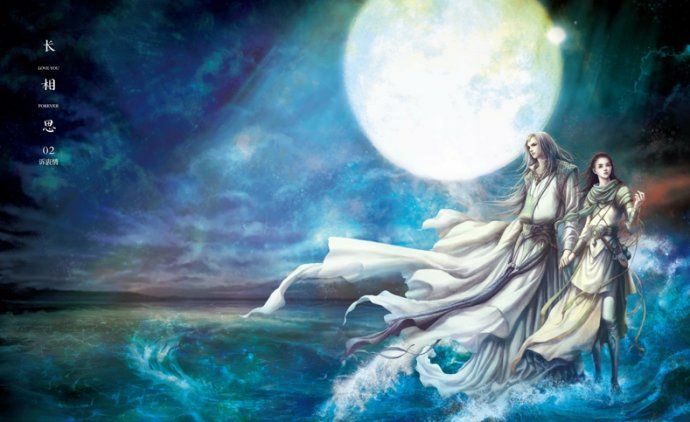 The drama remains about conversations and working through problems, but what if there is no misunderstanding and the problem really is too big to solve and the chasm too wide to bridge. My elation at Ji Young winning was there but the pain and despair inflicted by Yoon on the entire Vivi team really put a damper on it. My only consolation is that there are four episodes left which is plenty of time to find creative solutions to problems and hopefully give the baddies a taste of their own medicine. So many characters need a comeuppance BAD. This drama started off with the main characters facing external problems caused by a lack of a higher education or the instability of the financial market, but along the way their already tough journey got tougher because of sabotage and backstabbing. I reckon they have suffered enough and now Ji Young winning Miss Korea ought to become a launching point for a series of good things to start happening. 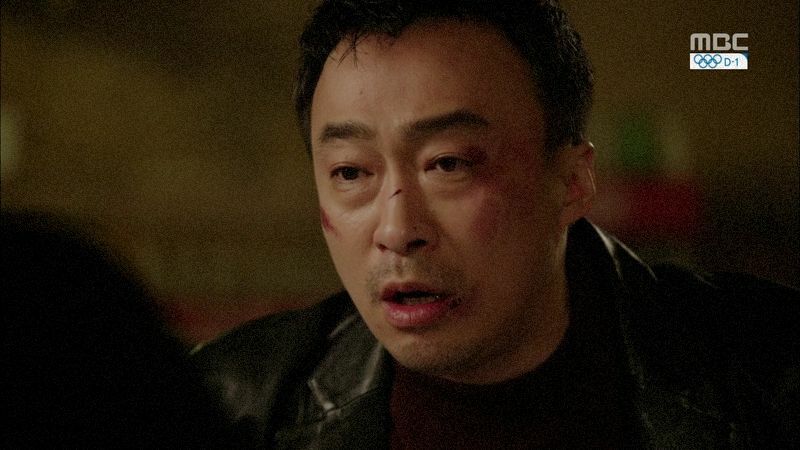 I don’t think I can handle watching Hyung Joon get beaten down one more time, and neither can Ji Young. The Miss Korea pageant winds down to the two finalists Jae Hee and Ji Young. One of them will be Miss Korea Seon while the other is the winner Miss Korea Jin. The MC interviews both of them to ask their feelings. Jae Hee is happy to be in this position though she is still lacking a lot. The MC puts the microphone in front of Ji Young but she’s unable to say anything. He chalks it up to her nervousness but Ji Young only has eyes for the five empty VIP seats. Finally she starts talking – from when she graduated high school she’s been an elevator girl for the last 7 years. Living in a small public space for 7 years but it has helped her compete today. She’s less nervous on stage, her legs are used to standing for a long time and shakes less than the other girls, and her smile isn’t as tiring because she is used to holding it. She treats standing here today as the result of her hard work. She’s not a Miss Korea who will just smile and look pretty. If everyone can support her to the end, she promises to not let them down as Miss Korea. The MC moves the microphone back to Jae Hee to ask what her reason is for entering the pageant and Jae Hee answers that she’s looking for her own dignity in living on this earth. She’s been living in the shadows as the daughter of someone who cannot acknowledge her but she doesn’t want to keep quiet anymore. She says “My father is Congressman Kim Seok Chul” and the audience erupts into chatter and shock. She wants to say more to her dad – she knows its been hard for him lately but going forward she knows he will be a man who lives honorably. She also wants to thank Madam Ma who helped her this far. If she doesn’t become Miss Korea Jin she doesn’t regret coming this far. Jae Hee’s dad sits there and watches in shock after his mistress and illegitimate daughter has been outed. The MC makes a smooth save of the pageant and moves the talk back to who will be Miss Korea Jin. The 1997 Miss Korea Jin is………..#25 Oh Ji Young, who do you think will be Miss Korea Jin? Ahahaha, he punks the entire audience and the two ladies and its actually pretty funny. He then goes the 1997 Miss Korea Jin is……….#27 Kim Jae Hee, what do you want to do if you win? Ahahahha, I can’t believe he did it twice! The MC finally says…..the 1997 Miss Korea Jin winner is #25 Oh Ji Young congratulations! This time it’s the real announcement and cheers rain down for Ji Young. 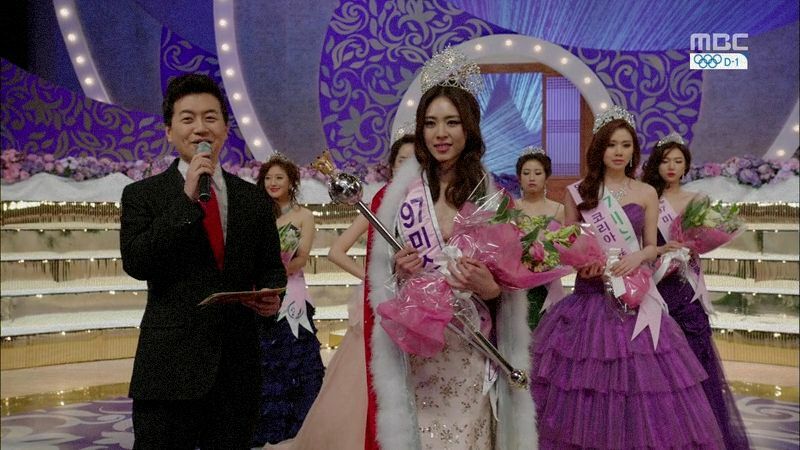 The MC crowns Jae Hee as the runner-up Miss Korea Seon first while Ji Young stands there soaking in her victory. Madam Yang seems secretly happy Jae Hee didn’t win. Jae Hee’s dad watches her come in second and actually seems upset for her. 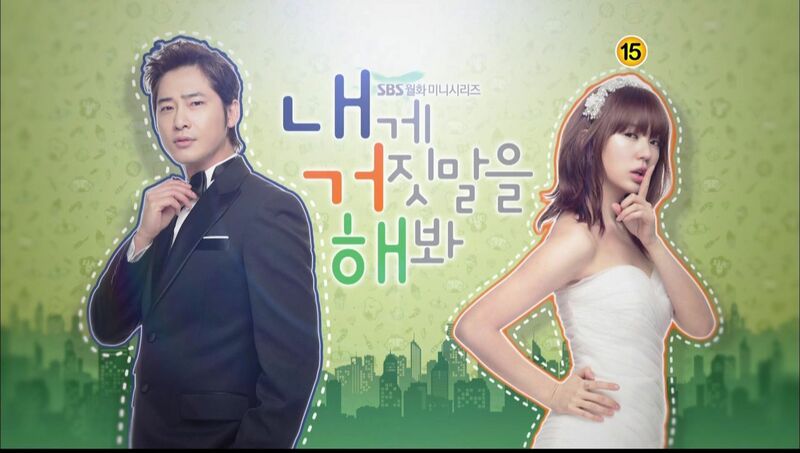 Jae Hee takes her crown and steps back while Ji Young steps forward. Ji Young receives her sash, crown, scepter, and cape as the MC announces her prize money and the fact that she will represent Korea at the Miss Universe pageant. Ji Young’s family cries as she gets crowned. The MC asks Ji Young who she wants to thank for today’s victory? She thanks her grandpa, mom, and uncle for giving birth to her so beautiful. She also wants to thank the the Vivi team who supported her who had nothing. Even though they can’t be here today she’s wearing their Vivi cream on stage. So why are they not here? She misses them so much! Hyung Joon is crying while watching this on the TV. Ji Young continues and says that when Oppa told her that he would make her into Miss Korea, she knew she had to take his hand but she tries to restrain her heart who wanted to take Oppa’s hand. Every day she comes back and Oppa gives her a big present, she feels very very grateful and thankful. She will never forget tonight and thank you everyone. 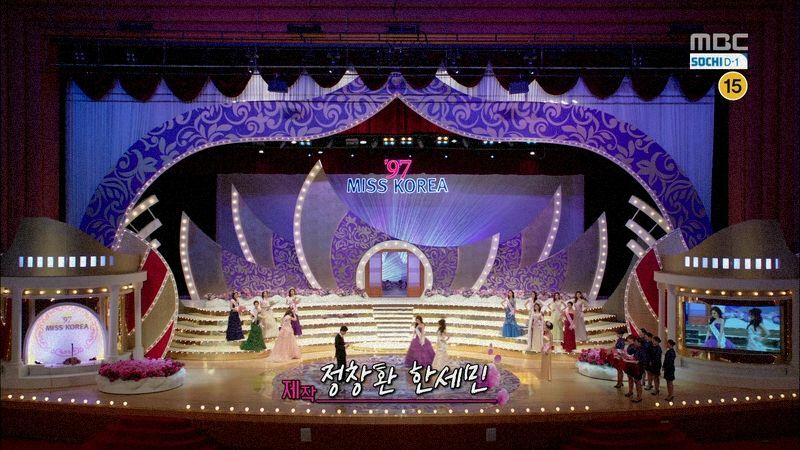 The MC announces the end of the pageant as Ji Young makes her walk around the stage as Miss Korea Jin 1997. 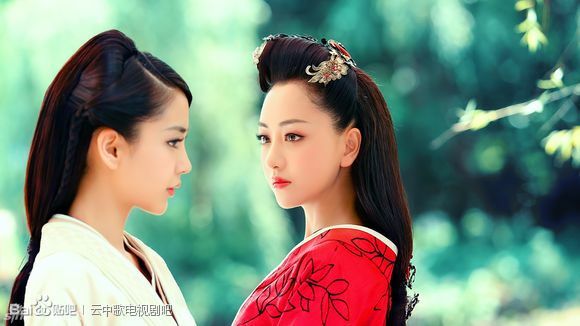 Madam Yang snarks to Madam Ma that neither of their girls became Jin so they are no better than each other. Madam Ma agrees but Director Yoon says their girls got one of the runner ups while Madam Yang’s girl didn’t even get a crown. Ji Young finishes her walk with a smile and tears streaming down her face. The Vivi team is still slumped in defeat and resignation in the factory floor. Dr. Ko snaps out of it first and walks over to Teacher Jang and kneels down next to him. She reveals that he’s unemployed now and he tosses the same back to her. He checks to make sure she didn’t get hurt but she worries about what to do next. Heung Sam says they will look for jobs as researchers. Kang Woo reveals Hyung Joon went to the Miss Korea pageant and then cries that they couldn’t even do one thing right. Hyung Joon arrives at the pageant hall to see Ji Young and the rest of the Miss Korea runner ups posing for media pictures. He smiles and Madam Ma passes by. She notices he’s been beat up but he just says that they won. She then chews him out for being MIA all day and letting Ji Young be all tired and doing her own heavy lifting. What kind of man is he? Hyung Joon just smiles and lets her yell at him. Madam Ma says Hyung Joon has no right to lord the win over her since he did nothing to win. She asks if be plans to show up in front of Ji Young looking like this. Hyung Joon says he’ll see her after everyone leaves and Ji Young won’t brush him aside even if he’s all beaten up. Ji Young’s family goes to pack up her belongings and talk turns to Ji Young no longer helping around the store since who has seen a Miss Korea Jin doing grunt labor. Oppa realizes that he’s doing all the work from now on while the elders laugh. Hyung Joon is waiting for Ji Young and she sneaks up behind him in a surprise back hug. He laughs and wants to see the face of Miss Korea but she purposes won’t show him. She just sighs and hugs him while he asks why she’s not asking where he went and why he left her all alone. Ji Young is just happy he’s here and Hyung Joon laughs that she’s grown more generous. He wishes her a happy birthday and congratulations of winning. Ji Young wants to head out right now with Oppa, she just wants to go play with him. 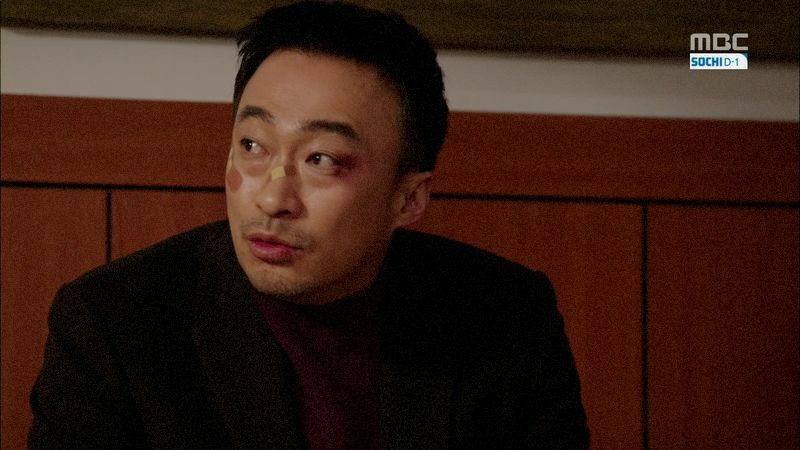 He turns around and Ji Young notices he’s been beaten up and he lies that it came from pretend fighting with Teacher Jang. He makes the excuse that the factory is too busy so the other couldn’t come. He wants to take her out to celebrate since she’s the luckiest girl in Korea right now and he doesn’t want to be the man who ruins her celebratory day. Jae Hee apologizes to Madam Ma who asks if Jae Hee feels better outing her dad. Jae Hee doesn’t know but Madam Ma feels very crushed that she only came in second place. Jae Hee apologizes again and Madam Ma asks if she’s hungry? Jae Hee starts crying and keeps thanking her. Madam Ma steps forward and tells Jae Hee that she did well. 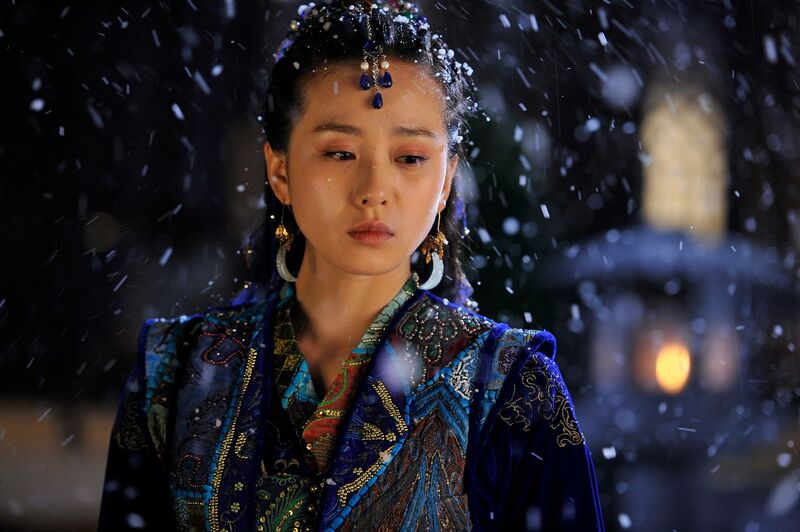 Yoon sits in the empty pageant hall and calls Ji Young, who promptly ignores her call. Good girl. Kang Shik walks up to him to talk about Vivi’s bankruptcy and Bada being interested in the Vivi cream. Yoon says he’ll be in touch and leaves. Ji Young downs a glass of beer and asks Hyung Joon how much Vivi cream is in stock? He just laughs but she is so excited about the product selling like hot cakes and her becoming a model to help sell it. She suggests filming a CF tomorrow and she’ll do it for free. Hyung Joon insists on paying her and asks how much she wants. Ji Young just can’t imagine today is here and it feels like such a dream. Hyung Joon feels the same and Ji Young pinches him to show that he’s really sitting with Miss Korea 1997. Hyung Joon knows her picture will be splashed all over the papers tomorrow so she can’t go places alone anymore. He suggest she do whatever she wants tonight and he’ll do whatever she wants. This is his punishment for not being there for her during the pageant. Ji Young tells Hyung Joon that the Vivi cream is really fantastic to use and she’s saying this as a woman. She puts her hand on his shoulder and assures President Kim that his company will do well. Teacher Jang drives the van past a walking Dr. Ko and insists on driving her home. She asks to go see a movie and they go watch a comedy. Teacher Jang at least tries to laugh but Dr. Ko cries through the entire movie. Ji Young and Hyung Joon come home and her family is there to celebrate with her and chant that she is Miss Korea Jin! Ji Young hands her prize money to her mom and tells grandpa to enjoy it as well. Ji Young goes back to her bedroom and falls down on the bed with a smile. She opens up the case containing her crown and takes it out to put it on. Hyung Joon goes to his room and sits down with a sigh. Ji Young tries to sleep but she’s smiling in her sleep and still too excited. She gets up and giggles to herself before trying to back to sleep but she can’t help but keep smiling. She wants to sneak out of her room but decides against it. She still can’t believe it and keeps getting up and laying back down. Hyung Joon packs up his meager belongings and goes to Teacher Jang’s place. He reveals that Ji Young was crowned Miss Korea 1997 and Teacher Jang smiles to finally hear good news on such a bad news day. He asks if Hyung Joon is jealous, he’s bankrupt while his girlfriend has flown to the top of the coop? Hyung Joon feels uncertain. They go have drinks and Hyung Joon asks if he’s a man if he can’t be the kind of man who a woman can love wholeheartedly. She did so well in becoming Miss Korea but she worries about him and can’t even be totally happy on the day of her victory. He doesn’t like being this kind of man and wonders if he should break up with her first? It’s his present for her and the useless one will just disappear. He wants to live with Teacher Jang who says he has no space. Hyung Joon has no money or a house, and he doesn’t even have a car to take her places since people will recognize her from now on. He doesn’t even have a job now to take care of her. 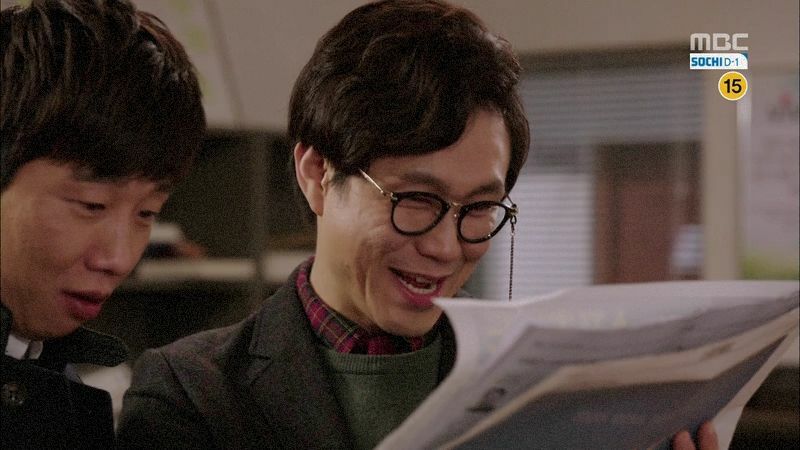 Teacher Jang knows he doesn’t want to break up and neither does Ji Young. So why act cool and say he’s breaking up for her future. It’s because of his own pride and Ji Young hasn’t even said anything. If he wants to end it then he needs to wait until Ji Young dumps him after being sick of his uselessness. Vivi is bankrupt and he can’t give her anything anymore so he should stay by her side for now. Hyung Joon asks if he should be shameless and just tell her that he’s willing to be her boyfriend. Teacher Jang says breaking up and running away is the way to not act like a man. Hyung Joon goes back to the house after getting schooled by Teacher Jang. He sits in the living room and Ji Young comes out with her make up bag. She notices his suitcase but he quickly brushes it aside. He hears that she’s going to a morning interview and he offers to go with her. She declines since he has to work but Hyung Joon insists. Ji Young and Hyung Joon meet with the program team and everyone congratulates her and compliments her on being even prettier in person. They ask who Hyung Joon is and he speaks up before her and says he’s her manager. Ji Young sits down to prep for her interview while Hyung Joon watches from the sidelines. She tells him later that she’s not used people being so nice to her. The news anchor asks Hyung Joon to buy her a pair of stockings since her manager isn’t here today. Heung Sam and Kang Woo read about Ji Young winning Miss Korea in the newspapers and are even happier to hear that she mentioned the Vivi cream. They call her to congratulate her but Hyung Joon picks up. He reveals that Ji Young is doing an interview and he’s with her now, and then will go see Yoon afterwards. 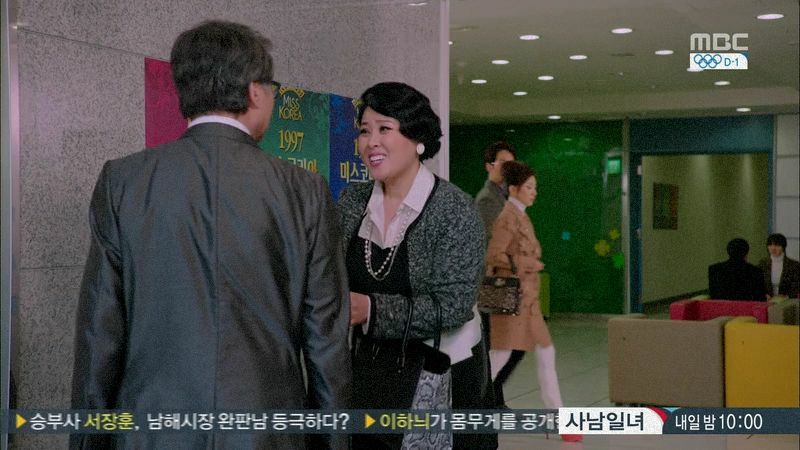 Teacher Jang is with Dr. Ko and she asks why he still comes since President Hwang took everything that is equal to the debt they owe so there is no reason for him to come anymore. He wonders what she will do next and Dr. Ko intends to keep developing products. She plans to get revenge for this by going back to school. She’s going overseas to a cosmetics research facility near Versailles to study and plans to learn more to come back and develop something even better. Teacher Jang’s face falls and he wonders why she’s studying more since she’s a PhD already but she says learning is never ending. He runs off to ask the other two if there is a degree higher than PhD. Ha. He sits and mutters that she’s going to study beyond a PhD and said that to someone like him who only went as far as middle school. He goes to the bookstore and tries to fin out where Versailles is? He thinks it’s in the US but can’t find it and after digging through tons of books finally realizes it’s in France which is just as far away. All the Miss Korea finalists gather together to meet with the pageant director to discuss their schedule for the next year. Their activities will include charity work and the Jin Seon Mi winners will be going on to other world pageants to present Korea. Madam Yang asks if Miss Bada will participate in other pageants and is disappointed to hear she won’t. Hyung Joon asks if the organizers will pay for the girls to participate in other pageants and is told they are to use their prize money. Hyung Joon says it’s not enough and quite expensive. The director says all the Jin winners in the past have done so and if she doesn’t want to do it she can give up her crown now. 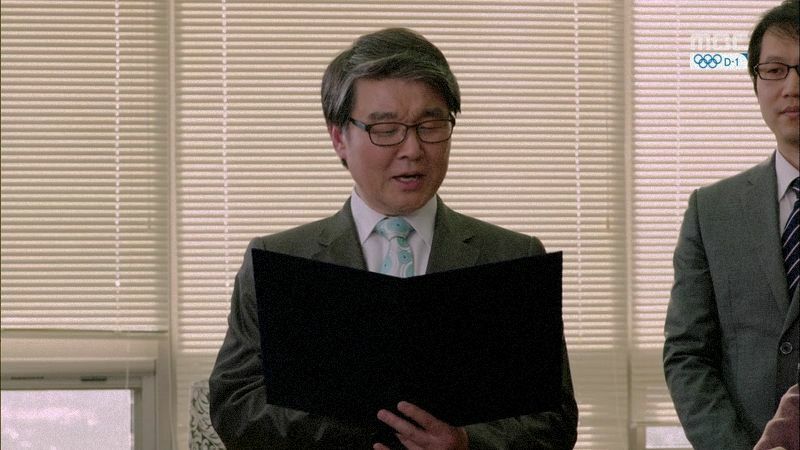 The director reads out a list of things to look out for and the first is to avoid scandal. Miss Korea cannot have a boyfriend since she is the nation’s flower and can’t belong to one guy. He asks Ji Young to be single for a year until her reign is over and asks if that will be a problem. Madam Yang pipes up that it’s a huge problems since President Kim is Ji Young’s boyfriend. When asked directly by the director, Hyung Joon says he is not her boyfriend and they just have a working relationship. The director moves on to all the CF offers coming in for the girls. Hyung Joon and Ji Young head out and she’s so excited about the Miss Universe pageant coming up in Hawaii. She wants to quickly make the Vivi CF for him so he can sell the product. She wants him to hold his head high and he asks if she thinks he’s got his head down these days? She says no and then fixes his band aid while he chastises her in case others see. He tells her that he won’t let her make any CF for free even for Vivi. She hands her cellphone to him so he can answer all her calls and pick her projects for her because she trusts him. Hyung Joon takes his leave to go to another meeting and after he walks away Ji Young stopped by Kang Shik. Madam Ma sees Madam Yang asking the pageant director for more pageants to enter or other opportunities and Madam Ma sees this which confirms that Madam Yang’s salon is not doing well after she borrowed a lot of money. Jae Hee informs Madam Ma that her dad wants to dine with them and she agrees and says they should go enjoy an expensive meal on him. Kang Shik wants Ji Young to sign the exclusive Bada cosmetics modeling contract but she’s still not interested. It’s not the money. She plans to become the model for Vivi Cosmetics. 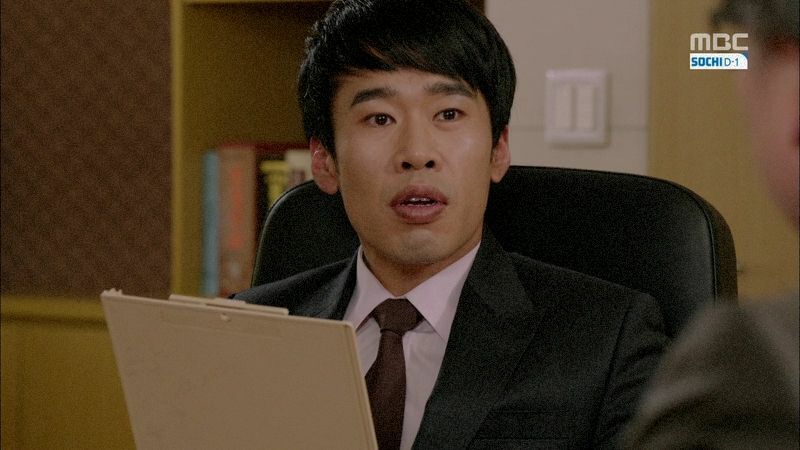 Kang Shik takes joy informing Ji Young that Vivi is now shuttered and Hyung Joon is bankrupt. All the factory materials have been carted away and Bada will soon own the rights to manufacture the Vivi cream. Hyung Joon meets with Yoon who asks why he has time to be here? Hyung Joon is trying to save his company and is here to sell it to Yoon. He’s not interested since he just wants the Vivi cream and it’ll be his if the company goes bankrupt. Hyung Joon knows Bada is also interested in the Vivi cream and even tried to steal it. Yoon asks what Hyung Joon wants then? Hyung Joon wants him to find a way to keep the company running for the employees who work there. 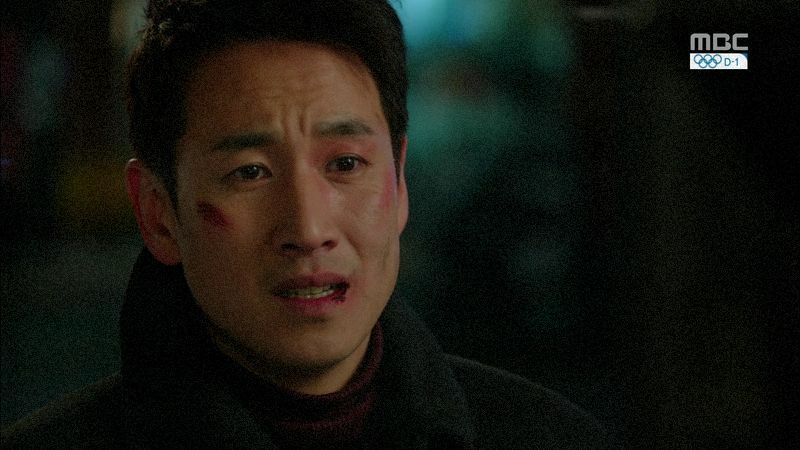 Yoon asks if Hyung Joon is leaving it all behind to save the people he worked with and he’ll walk away with nothing? That is exactly what Hyung Joon is suggesting. 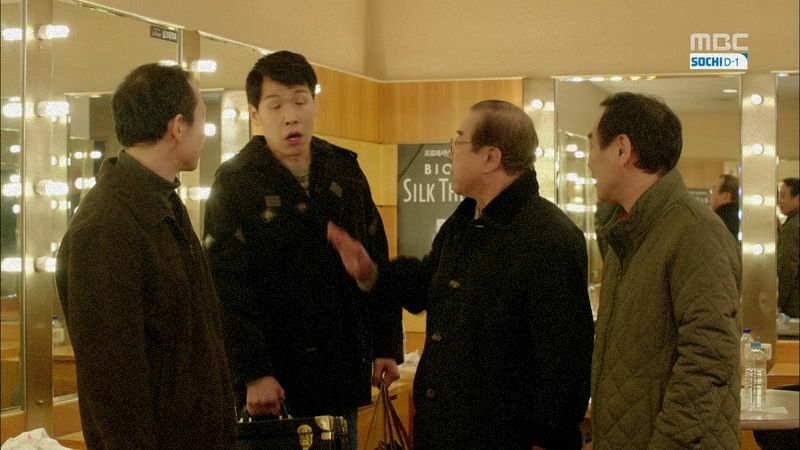 The Oh family has closed shop today to discuss how to spend Ji Young’s prize money. Grandpa wants a marble bed but the others chastise him for wanting something too expensive. Oppa wants to use the money to start a business. Uncle says they should each buy a new outfit with it and save the rest. Oppa thinks they should use it to get hair transplants before they all go bald. Uncle asks if he can get married after he gets more hair? Ji Young runs home and apologizes to everyone before taking her prize money back. She keeps begging for it but grandpa says its wrong to give it and then hand it back. Mom is such a softy and gives it back. Ji Young reveals she’s no longer happy just being Miss Korea and wants to use her money wisely. Compared to her family, she needs to help her man first right now. She accepts their censure and they can yell at her later. Oppa yells about how there could be a man who spends the prize money of winning Miss Korea! The family then wonder who her man is and land on Hyung Joon. Hyung Joon is currently answering Ji Young’s cell and its a non-stop series of calls for people wanting to set her up with chaebols and heirs. Kang Shik gets Ji Young’s application for Miss Korea and reads that Ji Young’s birthday is December 22nd which landed on the same day as the pageant. He wonders if she is 25 or 26 years old on the day of the pageant and tells the director to go check with a lawyer. If she’s past the age limit then they have a reason to strip her of her crown. 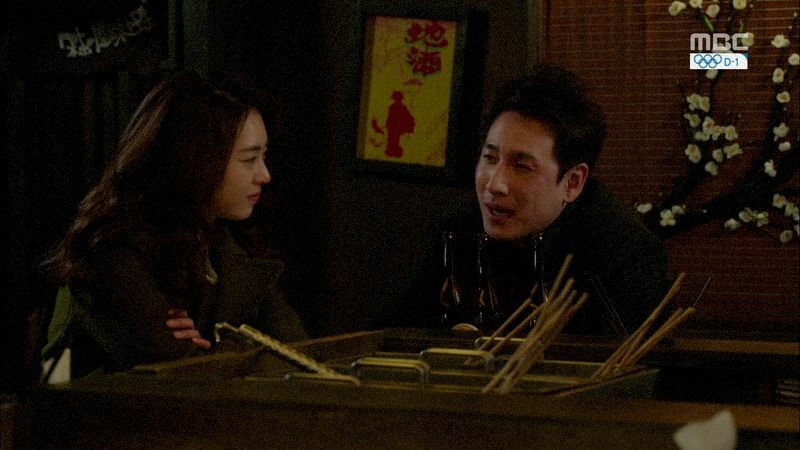 Ji Young meets with Hyung Joon and hands him the prize money for him to use. She wants him to use it first and he laughs that he has money. Ji Young tells him not to try and save face but he keeps insisting she take it back and use it to prepare for Miss Universe. She asks if he thinks she’s an idiot and needs to be shielded from the harsh truth. Isn’t Vivi almost bankrupt now? They keep arguing over the money and Ji Young asks if his pride is that important right now. Does pride even matter between them? It is for Hyung Joon because other than his pride he has nothing left before her. Showing up again before her to save the failing company was already embarrassing for him. Being beaten up by gangsters in front of her makes him want to crawl into a ditch. Now she wants him to take her money? Ji Young asks what he wants her to do seeing that he’s in dire straits? Does he want her to keep her money and laugh and be merry? Hyung Joon points out that if he takes her money then he becomes indebted to her. She will become his creditor. When he looks at her, he won’t think she’s beautiful and wonderful, he’ll only think of when he can return her money. He will never be able to hold his head up in front of her. Hyung Joon smiles and tells her not to make him feel even more pathetic. He tells her to come along and then walks inside. Where is the “Thoughts of Mine” section? Was looking for it too! I hope Ji Young and Hyung Joon would be able to cross these tough times together and never let go of each other’s hands again. It’s not easy especially for Hyung Joon at this point because he’s at the lowest of his life but he’s got this wonderful girl who loves him for who he is and not what he owns. For both of them, I hope that the answer is that love is enough for them. But of course, I want them to have everything they want because they both deserve happiness. I also like that winning the crown is not some magic that ends all misery. It would have been too unrealistic. In fact, I think it’s great writing and directing that the contrast were made of JY achieving what she wanted and HJ landing in worst situation that he could be in. Nothing predictable about the storyline either, while I think JY and HJ will have a good ending, I can’t guess how they will get there since thete is no ViVi BB cream for JY to model now the company is almost gone. Also, I’m curious as to how age is counted. For JY’s case, is the day of the birthday considered the last day of age 25 or 1st day of age 26? Technically, the day a baby is born is age 0 right? By the same token, the day after birthday would then be the 1st day of one year older? When we calculate age for nutrition related parameters, the WHO standards count the month of your birthday as the last month that you are that age. for example, when we say 0-5 years old it is only 0-60 months and not 0-71 months. but common knowledge is that months 60-71 are when you count yourself as 5 years old because you haven’t celebrated your 6th birthday yet. so for us, jiyoung was actually living her 26th year during the time she considers herself as 25. this is because the 12 months before your 1st birthday is already your 1st year of life. the 2nd year of life is between your 1st and 2nd birthday, and so on and so forth. If I recall correctly in Korea you’re one year old when you’re born and turn one year older in the new year. So I guess he’s wondering if she’s 25 because of the new year, and continues being 25 on her birthday, or if she’s turning 26. I cried buckets during the scene where she thanked Oppa and the Vivi team and asking why they couldn’t be there. So bittersweet for her. That back hug was so cute, them swaying together like that. Glad that HJ is trying to still help the people working for him. That dialog at then end is another heart-wrenching one, him trying to save his pride in front of the girl he loves. If the storyline leads to JY losing the crown because she is disqualified at the time she won, then it’d be plain stupid. The rules then ought to be that you must be not older than 24 years 11 months and 29 days when you win – wc would be RIDICULOUS! Age should VD considers when you entered the contest not when u win! Totally agree. After all the buildup to winning the crown, it will be plain pointless if she is indeed disqualified over the age non-issue. I’m actually thinking that if HJ is caught acting boyfriend to JY, it may also be a potential problem? I thought HJ being a boyfriend would be a plot point, too. But now that she has won, I don’t think they’d go that route. They haven’t played that issue as much as the age issue. Now, the big question is, are they or are they not dating according to HJ and JY themselves? Do they see each other as boyfriend-girlfriend, albeit not in the open? And wasn’t the pageant delayed because of funding? Originally it would have been before her birthday. After watching it fully subbed, I have to say this episode ROCKS! Something about it just touches me deeply. I love all the conversations and little gestures that show again how connected our OTP are to each other. 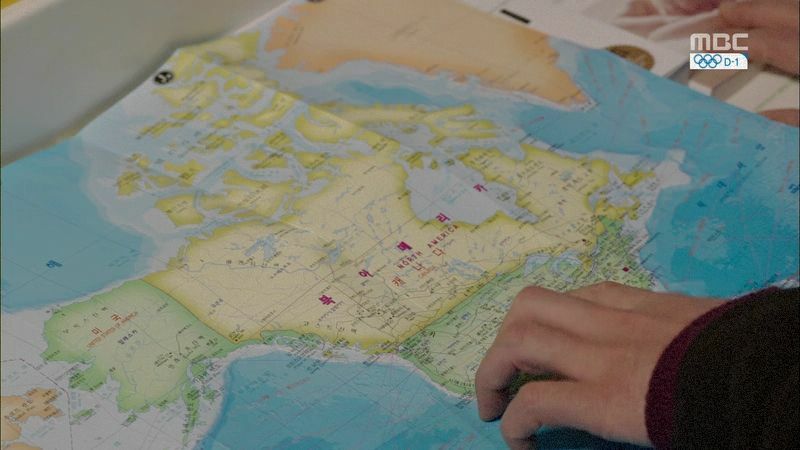 The writer has done a tremendous job setting everything up so I hope she does not run out of steam wrapping things up and connecting loose ends in the last four episodes. Don’t watch this series but have started reading the recaps which are interesting. 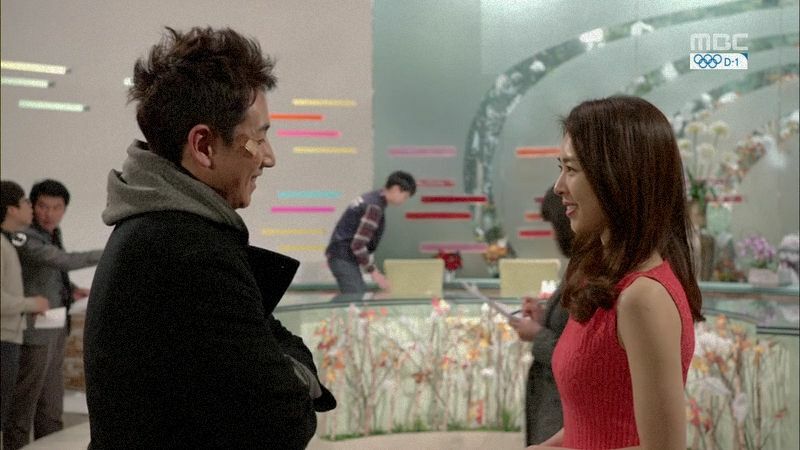 I would like to get hold of all the scenes of Teacher Jang and Dr Ko. They have good situational drama / comedy going on for them, its as good as the lead pair. Infact I’d say more than the lead pair I dig these two..
Good thing I was eating lunch at Mcdonalds when I was watching the first part of the episode otherwise I would have bawled right at the spot. I loved her thank you speech. I bawled the whole time!! So did I, the whole episode long, up to the very last scene. Does anyone know what to become of HJ’s promise to Yoon that he’d break up with Ji Young after she wins? Is that moot now with the revelation that Yoon himself sabotaged Vivi? I think the promise is moot now with the sabotage.